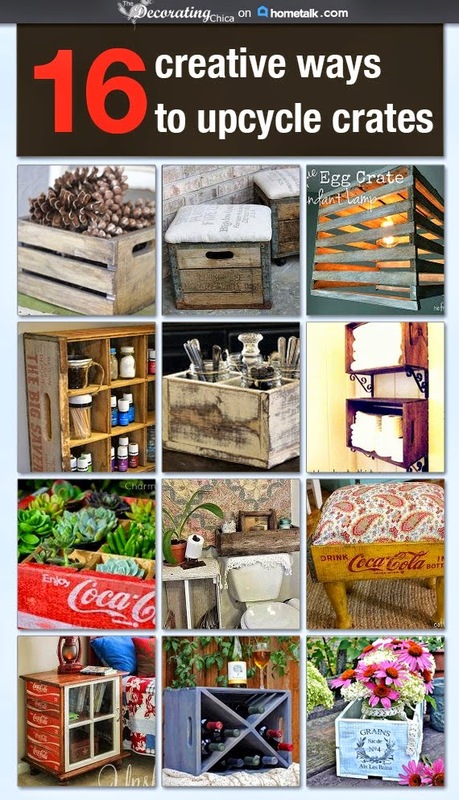 This project is a combination of a couple of repurposed items. The black decorative element over the chalkboard frame is the top of an old mirror that came off of a dresser and the frame used to hang for years on a wall at my hubby's grandma's house. It was dark walnut brown with picture of a fruit basket. The project below is a great example of reusing and recycling to end up with a great wall vignette. It started with the frame you see below. When we were clearing out Jack's grandmas house, I quickly grabbed up this find. It was not much to speak of (wish I had pictures) but once I pulled out the print and gave it a paint treatment it was great in my dining room. Originally there were 2 similar types of frames/print although not a match. I gave them the same paint treatment (the dining room wall color as a base coat with a white crackle finish over the top) and hung both together as empty frames. G R E A T conversation piece. Nobody could understand why I would just hang a couple of empty frames but everybody liked it! That's been several years ago and they have gone through many transitions since then. One is no longer as the frame broke and was unrepairable. Alas, the lone frame is now a victim of one final update as seen below. This is the frame. It has been painted and spray painted and crackled to end up like this. This is a scrap piece of plywood that has been used for a school project by my youngest son, cut and now reused as the background board for the frame. Added some lovely chalkboard paint. Did have to go out and buy another can. Had a can for a few years just waiting for a project and couldn't find it...argh! Mounted the board in the frame. This is what the back looks like, you can see the original dark brown finish of the frame. ﻿All in all, this project only cost me $10 for the chalkboard paint. so nice!!!! I have an old frame waiting for a new project and I think this could be a great idea. Your kitchen set-up is very similar to mine. I have knotty alder cabinets that have aged to an unattractive YELLOW, and I am hoping to paint them in the spring! I also want to remove the peninsula and put in an island instead...hoping I may be able to convince a friend to help me, to keep costs down. I love your new look! Good for you for working with what you have.